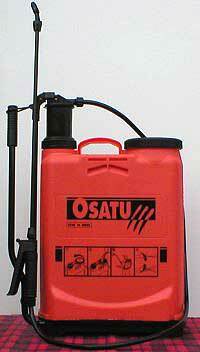 Concentrations: 1kg of powder per 25 litres of water for Woodworm gives a 5% concentration for mild to medium attacks and 2.5 kgs of powder per 25 litres of water for Woodworm gives a 12.25% for heavy attacks, and for Death Watch Beetle, Dry Rot and wet rots. 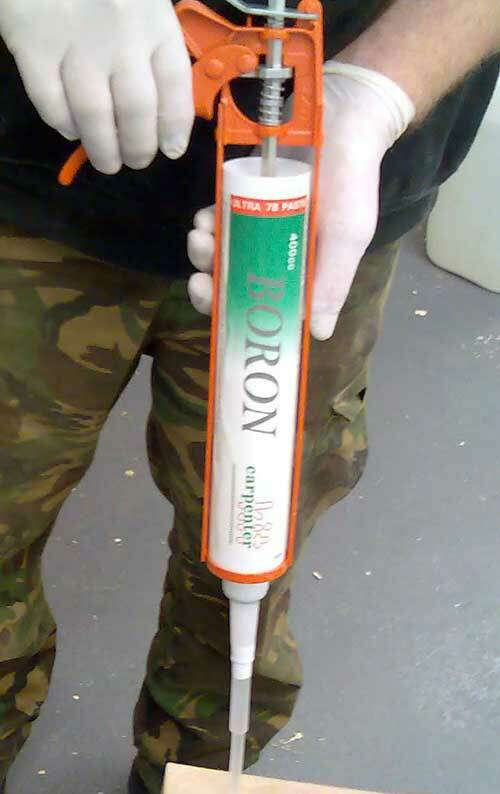 Use Boron Paste alone for indoor timbers that are damp but not subject to re-wetting (e.g. joists, tie beams) and Boron Paste plus Boron Rods together in all timbers, indoor or outdoor, subject to re-wetting, seasonal or continuous (e.g. window frames, garden posts), so that the Boron Rods will provide a long term reservoir. Boron Ultra Paste - for damp wood. 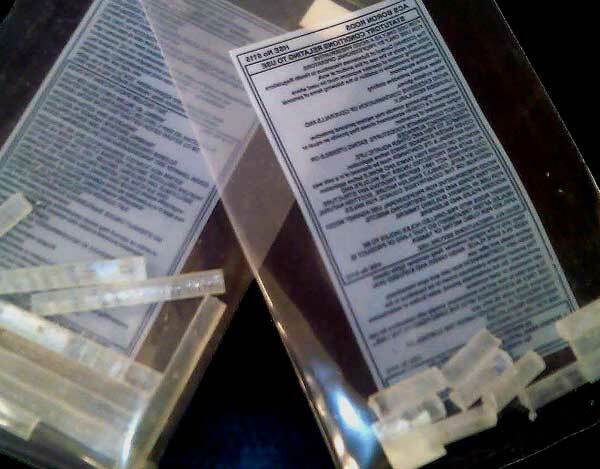 Boron Rods - in packets of 10.